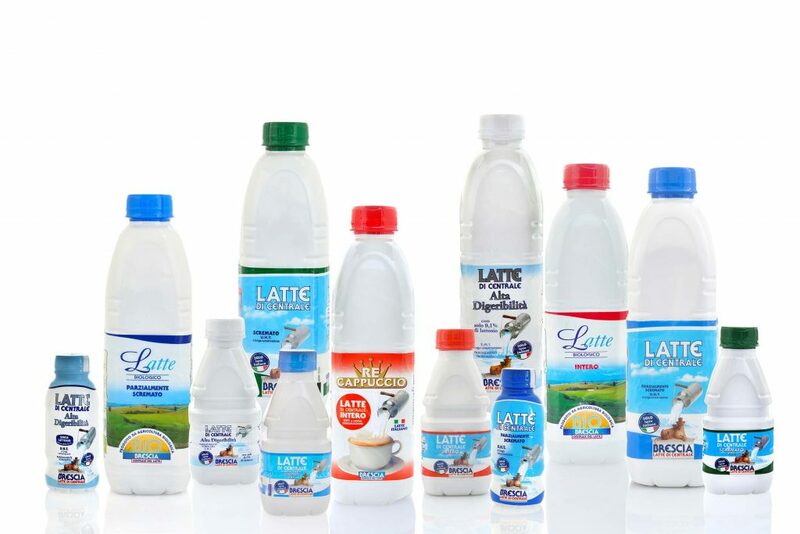 Centrale del Latte di Brescia has doubled its aseptic production of UHT milk in PET bottles and in doing so is benefitting from a simple, safe and sustainable packaging line. The project saw this innovation-driven company become the first producer in Italy to invest in Sidel’s aseptic and environmentally friendly combined blow-fill-cap solution with dry preform decontamination – the Sidel aseptic Combi Predis™. The history of Centrale del Latte di Brescia begins in 1930 when it was established to distribute milk to the local community of Brescia, a city located in northern Italy, right at the foot of the Alps. In its mission to provide hygienically guaranteed milk on a daily basis, the company has never failed – even for a single day – continuing non-stop production throughout the Second World War. Today, it is involved in the production of many different milk products (from fresh milk to mascarpone), other dairy products, such as yoghurt and various kinds of cheese, plant-based milk alternatives, eggs and egg-based products, on-the-go salads and cold cuts. Since its formation, Centrale del Latte di Brescia has constantly demonstrated its innovation drive. 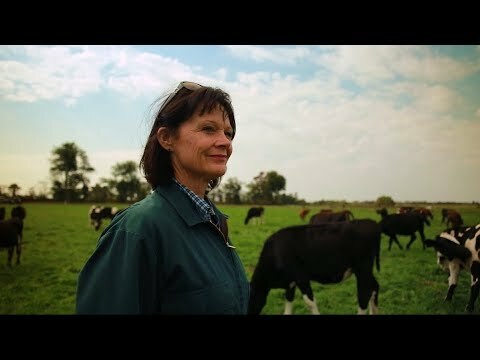 The company was the first in Italy to produce UHT long-life milk (in the 1960s) and also to package it in PET bottles (in the early 2000s), the first to produce and market a yoghurt-based recipe for ice cream and one of the very few to produce an exclusive, premium-priced high-quality milk with particular nutritional characteristics. The company markets its own brand and is also a co-packer for other producers and private labels. In 1996, Centrale del Latte di Brescia turned from a city-owned corporation into a joint-stock company, although the Municipality was still acting as the reference partner. In 2015, the city itself (which had absorbed the shares of other historical members over the years) sold 48% of its shares to agricultural organisations and to companies dealing with industrial processing and distribution. An additional 1% was subsequently made available to the employees of Centrale del Latte di Brescia. “This gave us the opportunity to refine the scope of our industrial strategy in order to better meet consumers’ expectations and to develop the business further. We have always recognised the importance of investing in innovation regarding our process technologies and milk packaging solutions, and this is how the company has evolved and grown up to this point”, comments Paolo Bonometti, Plant Director at Centrale del Latte di Brescia. Early in 2000, the company started shifting from carton to PET to promote its fresh milk in 1L and 0.5L bottles. “We strongly believe in the importance of refreshing the brand, to give a more dynamic and modern image to our milk range. Selecting the right package is central to this process: PET bottles offer us great freedom in package design to achieve brand differentiation and, importantly, they also meet strict food safety standards”, explains Bonometti. 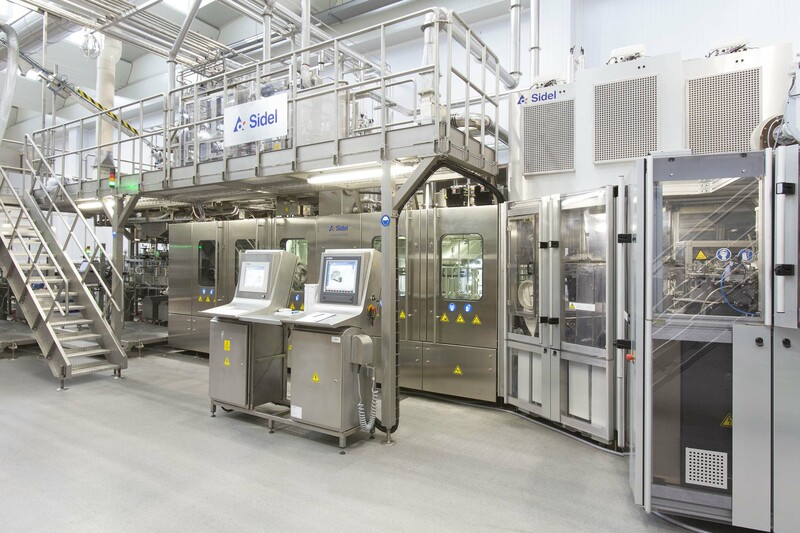 “We have built on the success of this introduction of fresh milk in PET to promote our UHT milk in appealing PET bottles since 2004.” At this time, the dairy producer invested in a complete aseptic PET line equipped with standalone equipment. In just a few months, the company almost completely switched its UHT milk production from carton to PET bottles, a ground-breaking development which received a positive response from Italian consumers. Building on the increasing consumption of UHT milk in PET in Italy, Centrale del Latte di Brescia recently needed to enlarge its production capacity. The company wanted to ensure its products were of the very highest quality while reducing its reliance on chemicals. It had also to consider the restricted floor space available in its plant: a historic building located in the centre of the city of Brescia. Based on its extensive experience in dairy and specifically in aseptic production and packaging, the Italian manufacturer evaluated the main solutions available on the market. “We finally initiated a new journey by investing in a line which includes an aseptic Combi equipped with dry preform decontamination from Sidel: the first one for UHT milk in PET in Italy”. 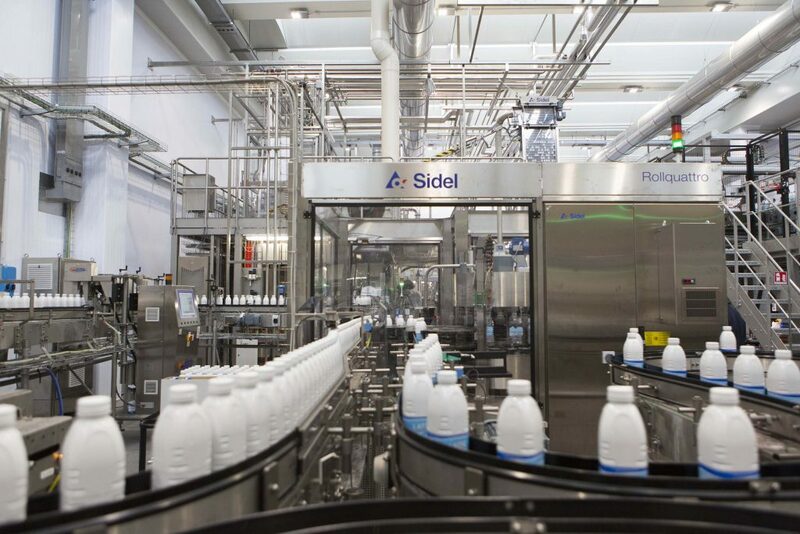 One of the many reasons why the company decided on Sidel as its supplier for this new line, was the successful implementation of the aseptic Combi Predis by major names in the industry throughout the world. One such dairy project is in North America which, following trials, saw the aseptic Combi Predis receive approval from the Food & Drug Administration (FDA). This made it the world’s first aseptic PET filling equipment with dry preform sterilisation validated for low acid manufacturing and commercial distribution in the United States market. “By partnering with Sidel, we could leverage a huge experience in PET aseptic packaging and we were really confident about the reliability of this aseptic dry preform decontamination technology due to the number of references installed worldwide. We had the chance to visit some of them and were really impressed by the lines and the dairy producers’ feedback,” continues Bonometti. Fundamental to ensuring the success of packaging the fresh and UHT milk in PET bottles are product safety and integrity, with no quality issues caused by microorganism growth or alterations caused by light, oxygen and temperature. “PET packaging solutions really offer dairy products the possibility to retain their fresh taste, vitamin content, texture and colour from production to storage, including shipment and distribution. The opaque barrier PET we use, combined with the dry preform decontamination process, offers great product safety. We do not need to use any aluminium lid as the tightness between injected bottle neck and cap is very reliable, and the consumers really appreciate this,” comments Guillaume Rolland, Sensitive Products Category Director at Sidel. The choice of the aseptic Combi Predis was an important step forward in terms of food safety and sustainable production, as well as cost-savings, with Sidel dry preform decontamination technology using no water and only minimal amounts of chemicals. The blower oven activates the sterilising effect of the hydrogen peroxide vapour, without the need for additional heating of the preforms. The same technology is employed for cap decontamination with Sidel’s Capdis™. “This process is really simple and ensures a high level of decontamination, with the content of the filled bottle protected from microorganisms,” said Rolland. By integrating preform decontamination, blowing and filling functions with cap decontamination in a single enclosure, the Sidel Combi Predis ensures an aseptically filled and capped PET bottle, without consuming water. “We are really satisfied with the solution benefits in terms of food safety, top production quality and reliability, cost-effective and environmentally friendly production. Compared with PET lines equipped with a stand-alone blower and aseptic filler with wet bottle decontamination, it is also easier to operate and maintain,” comments Bonometti. The result is reliable, simple aseptic beverage production in PET bottles, while continuously monitoring critical parameters to bring the risk of contamination to zero. The whole project was based on a strong collaboration between Centrale del Latte di Brescia and Sidel. “We benefit from the proximity of the Sidel Parma plant, located some 120 kms from our plant,” concludes Bonometti. Today, the plant welcomes many beverage and dairy players who want to see an aseptic Combi Predis operating in what is recognised as a reference among LDP production sites in Europe.